Janet and I voted today – absentee ballots – we’re over 60 years old and away on election day. 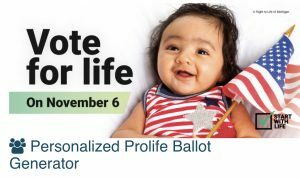 We visited Right to Life Voter Guide at election.rtl.org/ballot. Consult them for educated voting.